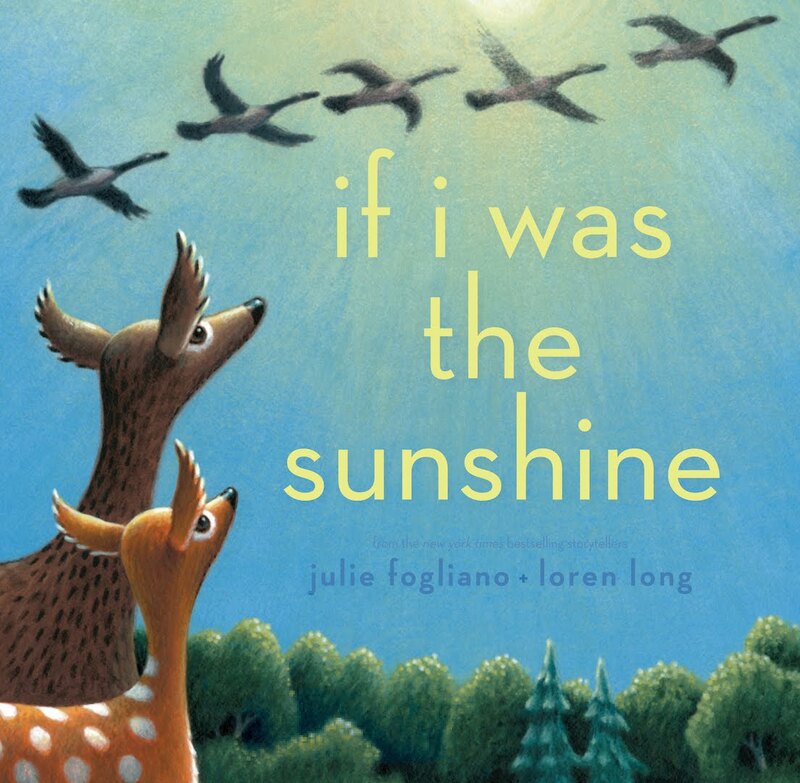 Thank you for dropping by to share the BEAUTIFUL cover for If I Was the Sunshine. I wrote the words in purple, and Julie wrote the words in black. Thank you, Julie! Loren Long's cover illustration for If I Was the Sunshine just glows. I’m convinced he somehow infused his art with actual sunshine. You can almost feel the warmth coming off of it. I think If I Was the Sunshine is my most difficult book to articulate (and if you ask Loren, probably the most difficult to illustrate). Story is not necessarily a great big remarkable thing. Stories can be quiet. Stories can be small. Sometimes, the best stories are the ones you find while you’re waiting for a great big remarkable thing to happen. I wrote the words in purple, and Loren wrote the words in green. Thank you, Loren! Julie Fogliano’s text is playful and profoundly warm. It was a beautiful challenging puzzle for me, the illustrator, to solve. For If I Was the Sunshine's cover, I mostly wanted to invoke the uplifting feeling of connection in Julie’s eloquent poem. I tried to convey the connection of parent and child to others and to the world around them. Story is something that starts with a writer at a desk and an illustrator at a table. But it becomes a thing that really LIVES when it finds itself in the hands of a child and someone who loves that child. Look for If I Was the Sunshine on May 7, 2019.